The HHS secretary says the systems verify whether applicants are eligible for benefits. Kathleen Sebelius is confident both the state and federal public exchanges have systems in place to verify whether applicants are eligible. Health and Human Services Sebelius certified the systems the exchanges are using to screen applicants for the new Patient Protection and Affordable Care Act health insurance tax credit. She also certified the systems in place to screen applicants for the “cost-sharing” subsidies meant to help low income users of private “qualified health plan” coverage handle co-payments, coinsurance and deductibles. Sebelius submitted the certification reports Dec. 31, in compliance with a provision of an appropriations act passed in the fall. The exchanges are using several systems to verify user eligibility, including a federal data hub, state-level data sources, and procedures for examining any data inconsistencies, Sebelius writes in a letter introducing the certification reports. In addition to verifying an applicant’s income, an exchange is supposed to verify the name, Social Security name, immigration status, residency, incarceration status, household income and size, ownership of any minimum essential coverage other than through employer-sponsored insurance, and any eligibility for or use of employer coverage. 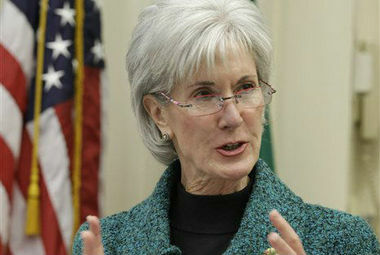 Sebelius sent one to House Speaker John Boehner, R-Ohio, and one to Vice President Joe Biden, president of the Senate.